A nail school category was added to Modern Salon’s Excellence in Education program for the first time in 2017. The awards recognize outstanding achievement by beauty schools across the country, acknowledging ideas and best practices worth sharing. The awards were presented at the American Association of Cosmetology Schools annual convention held in Las Vegas October 20-23. In their applications for consideration, the schools described how they support nail students to ensure their career success, including providing special training, activities, mentoring, competitions, and placement services. 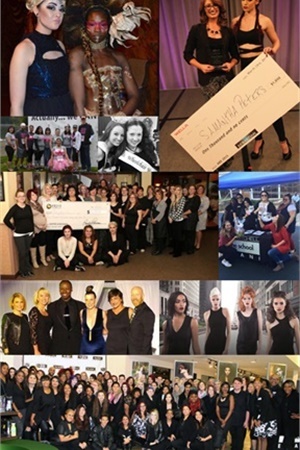 The top individual location nail honorees for 2017 were Penrose Academy of Scottsdale, Ariz. and Summit Salon Academy of Tampa, Fla. “We received consistent feedback from industry leaders about this growing segment of the professional beauty industry and the need for a qualified workforce,” said Penrose Academy in their application. The school partnered with CND for education with Milady providing a curriculum. Summit Salon Academy provides focused career advice and features an Essie top nail artist in-house for education twice a year. The top multi-unit school group honorees were Paul Mitchell Schools of Sandy, Utah, and Evergreen Beauty College of Everett, Wash. Evergreen Beauty College provides support for students including an externship program that allows them to finish their program at a local salon or spa. The school also provides support to help students attend Nail Camp each year. Paul Mitchell schools feature a variety of special offerings, including participation in on-stage art fashion shows, nail art competitions, mentorship, and participation in career fairs.